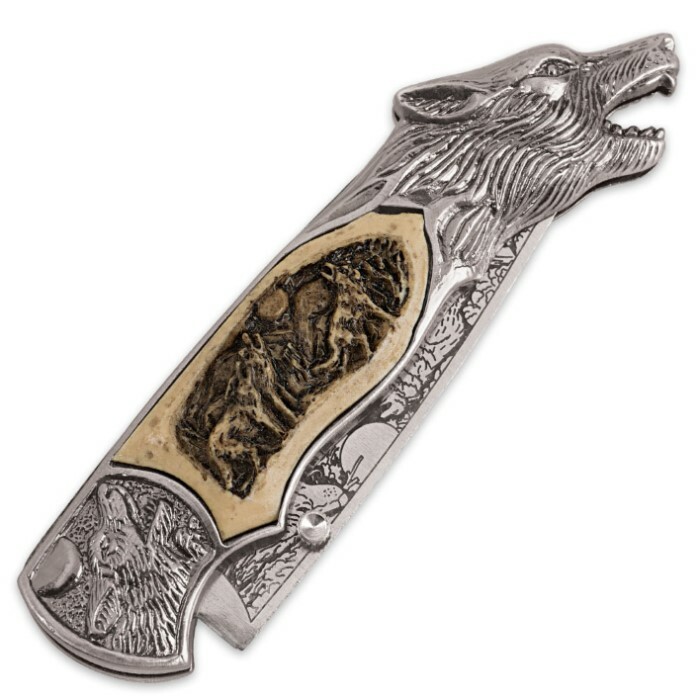 Howling Wolf Pocket Knife With Box | BUDK.com - Knives & Swords At The Lowest Prices! 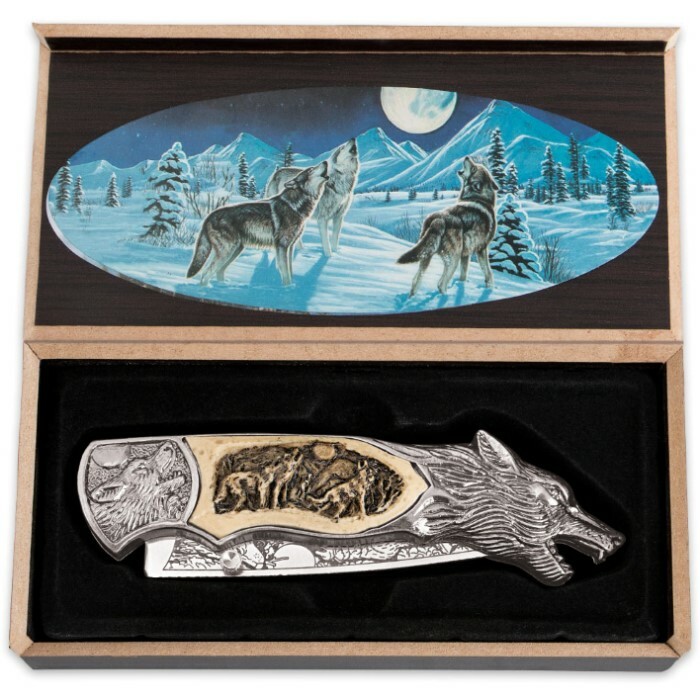 If you are a collector of wildlife items, then you must have the Howling Wolf Pocket Knife. It is a beautifully crafted aluminum and resin pocket knife in a howling wolf motif. 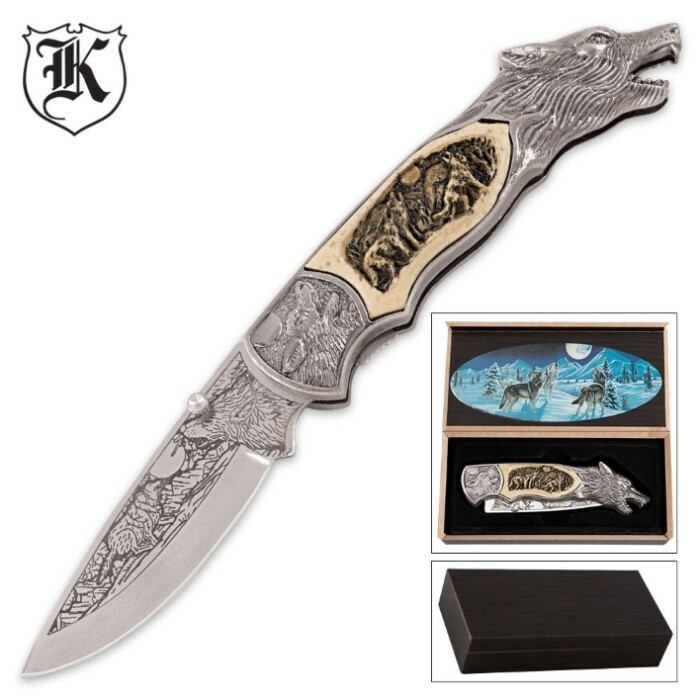 The 3-1/2” stainless steel blade is acid-etched with a wolf motif, as well. A sturdy linerlock keeps it securely open and the thumbstud give you an effortless opening. A beautiful wooden display box completes the package.